Kick off your visit on the 19th (Tue): tour the pleasant surroundings at Yonehara Beach, examine the collection at Tamatorizaki Observatory, and then visit a coastal fixture at Cape Hirakubozaki. On the 20th (Wed), you'll have a packed day of sightseeing: kick back and relax at Fusaki Beach and then identify plant and animal life at Wildlife Areas. To see traveler tips, maps, ratings, and other tourist information, refer to the Ishigaki vacation builder. Singapore, Singapore to Ishigaki is an approximately 11-hour flight. Traveling from Singapore to Ishigaki, you'll lose 1 hour due to the time zone difference. Expect a daytime high around 36°C in September, and nighttime lows around 30°C. Wrap up your sightseeing on the 20th (Wed) early enough to travel to Miyakojima. 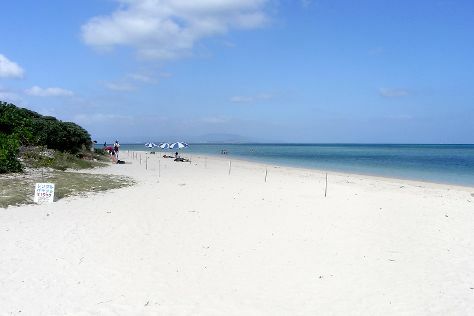 On the 21st (Thu), snap pictures at Irabu Bridge, then kick back and relax at Sunayama Beach, and then enjoy the sand and surf at Aragusuku Beach. Get ready for a full day of sightseeing on the 22nd (Fri): head off the coast to Kouri Island and then stroll through Yonaha Maehama Beach. To find more things to do, ratings, where to stay, and other tourist information, you can read our Miyakojima tour planner. You can fly from Ishigaki to Miyakojima in an hour. 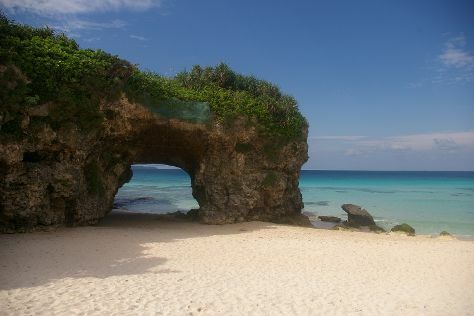 In September, daily temperatures in Miyakojima can reach 35°C, while at night they dip to 30°C. Finish your sightseeing early on the 22nd (Fri) to allow enough time to travel to Taketomi-jima Taketomi-cho. On the 23rd (Sat), kick back and relax at Kaiji Beach, kick back and relax at Kondoi Beach, and then take in the waterfront at Nishi Pier. Here are some ideas for day two: appreciate the extensive heritage of Island Countryside Settlement and then take some stellar pictures from Nagomi Tower. To see photos, where to stay, more things to do, and other tourist information, go to the Taketomi-jima Taketomi-cho custom trip planner. You can do a combination of flight and ferry from Miyakojima to Taketomi-jima Taketomi-cho in 1.5 hours. In September, daytime highs in Taketomi-jima Taketomi-cho are 36°C, while nighttime lows are 30°C. On the 24th (Sun), wrap the sightseeing up by early afternoon so you can travel back home.